This page is for consulates only !!! Above mentioned email address is NOT the email address of the consulate. 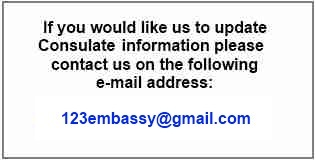 www.british-consulate.net - Please note that we are not the official website of mentioned Embassies on this website.